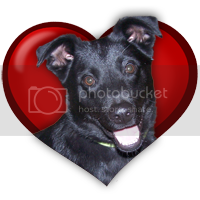 Every dog lover looks for ways to share that special love in their home. This wonderful 16" square hooked wool throw pillow does just that! Greet friends and family or just add a splash to that special seating corner with this wonderful tribute to Man's Best Friend. Graphic and bold, the dog sentiments and pawprints will make this a favorite for dog lovers everywhere! The back is velveteen backed with a zip off cover.